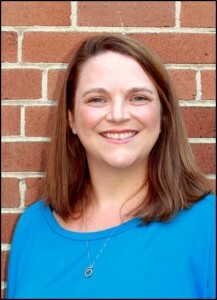 Since 2006, Melissa has served as the Executive Director for the American Kinesiotherapy Association (AKTA) and as an instructor in the Kinesiotherapy program at the University of Southern Mississippi (USM). She feels that the most crucial element of teaching is to prepare students to become confident, well prepared, and critically thinking clinicians. Instilling students with the appropriate problem-solving skills to prepare them for anything they may encounter is of the utmost importance because as therapists, they will have unique challenges every day and will need to think on their feet to make decisions which will affect the well-being of their clients. Melissa’s primary responsibility for the AKTA is to promote the profession of Kinesiotherapy. She believes that the Kinesiotherapist is the missing piece in the current healthcare system and that utilization of the skills of a Registered Kinesiotherapists (RKT) is key to help reduce debilitation, or weaknesses, and enhance functional capabilities for all persons but especially those with functional limitations. The demand for RKTs is on the rise, because exercise and education, the two primary modalities used by an RKT, can help patients regain independence, recover from injury and recuperate faster following surgery, which can reduce overall health care costs for the entire system. The opportunity to share Kinesiotherapy with the Medical Fitness Network is instrumental in the growth of Kinesiotherapy and the continued affiliation is vital to solving the missing link between independent wellness and acute rehabilitation. Melissa is currently a graduate student in the doctoral program in Higher Education Administration with a minor in Kinesiology at the University of Southern Mississippi in Hattiesburg, MS. She has a Master’s of Arts in Human Performance with a specialization in Exercise Science from the University of Houston-Clearlake in Houston, TX and a Bachelor of Science degree in Human Performance with an emphasis in Kinesiotherapy from the University of Southern Mississippi. She has been a Registered Kinesiotherapist and a member of the AKTA since 2001. She is also a member of the Medical Fitness Association serving on various committees and was recently awarded the honor of becoming a Fellow. She serves on the American College of Lifestyle Medicine (ACLM) Clinical Practice Model Working group and as a Commissioner for the AKTA on the Commission on Accreditation of Allied Health Education Programs (CAAHEP). Additionally she holds two yoga certifications through YogaFit. 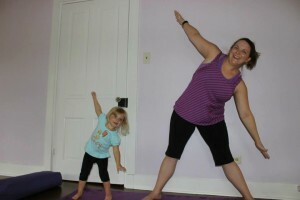 However, her favorite yoga class is the one that she shares with her daughter. It is so important to establish healthy habits early hoping to break this cycle of preventable disease.